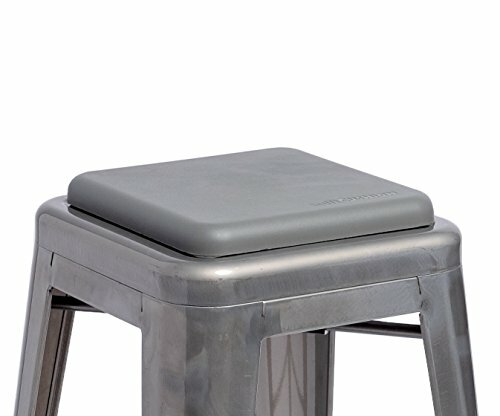 What we call a 'Square Seat' cushion fits atop most chairs and cushions with a 9-3/4" x 9-3/4" inset seat pan, sometimes with an oval cut out in the middle. The cushion nestles perfectly into the inset of the seat, and by using velcro as the fastening method, we have allowed for 100% non-toxic foam to comfort you, and prevent that chilly-chair sensation. The chairs make your space, the cushions add the touch. If you have any questions about this product by Sofft, contact us by completing and submitting the form below. If you are looking for a specif part number, please include it with your message. Turquoize Quilted Furniture Recliner Protector Anti-Skid, Microfiber Sofa Chair Protector/Slipcovers with Waterresistant PVC Backing Stay in Place (Recliner: Brown) - 79" X 68"